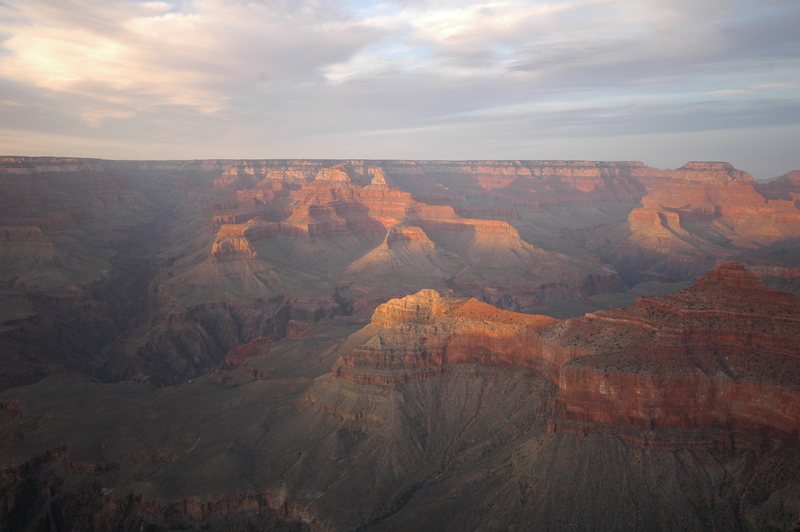 However the sunrise was staggering beautiful at Yavapai point, when morning sun was shining on the peaks and the valleys were still in the dark. We stayed in Yavapai Lodge for two nights. It is quiet, surrounded by pine woodlands, far away from the rim where many tourists crowd. We met rock squirrels on the way to our room^_^ The downside – need take shuttle bus to the rim. 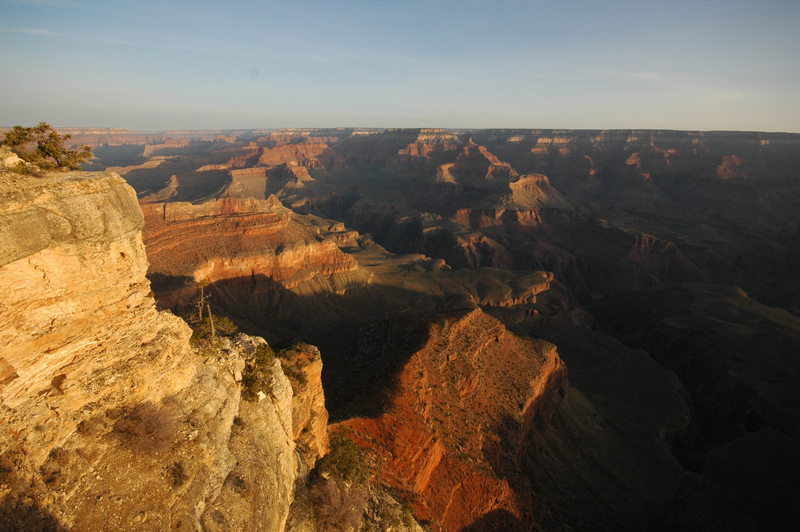 According to travel book, Yavapai point is always the best place for sunrise and sunset. We got up at 6AM and spent 30 mins in walking there. It was early morning in March and was frozen. 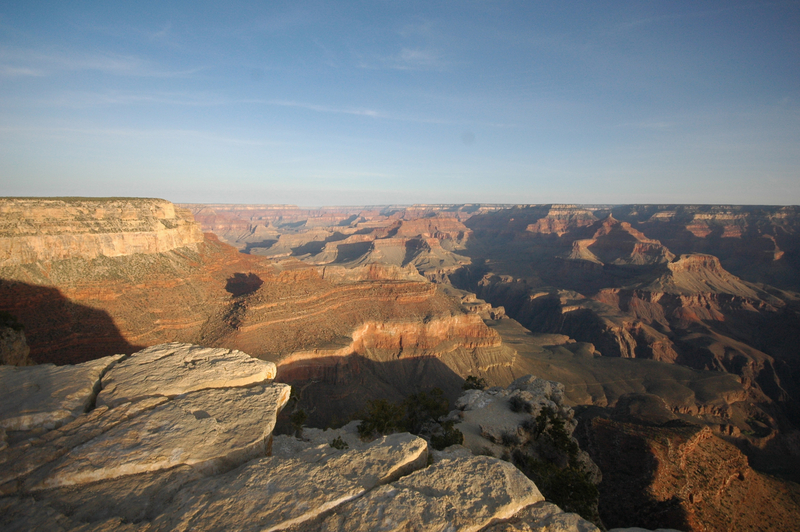 Some cars passed on the road – most of people traveled to Grand Canyon with their car, except for us. The camera couldn’t get as much details as there were. 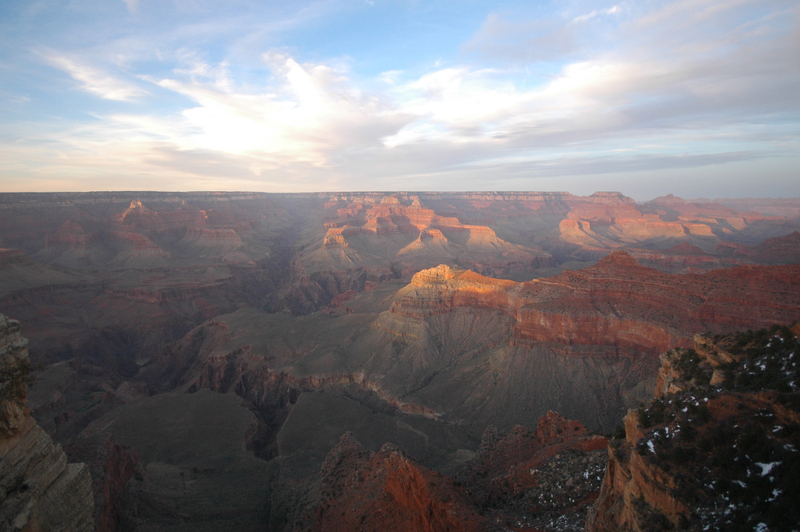 There are hundreds of thousands of rocky mountains in Grand Canyon. Every mountain looked vivid and colorful now, rather than the dim and grey rocks at noon. The sun was still very bright. Chen Tu’s transforming glasses totally changed to black! Warmed up by the Sun, we wandered back and crossed the woodlands nearby, with pine trees’ fresh smell. One guy was running with his dog and passed us in this pleasant morning. We returned to the same place for sunset. The flying clouds looked like a oil painting. The golden light was fading from all the mountains quickly. 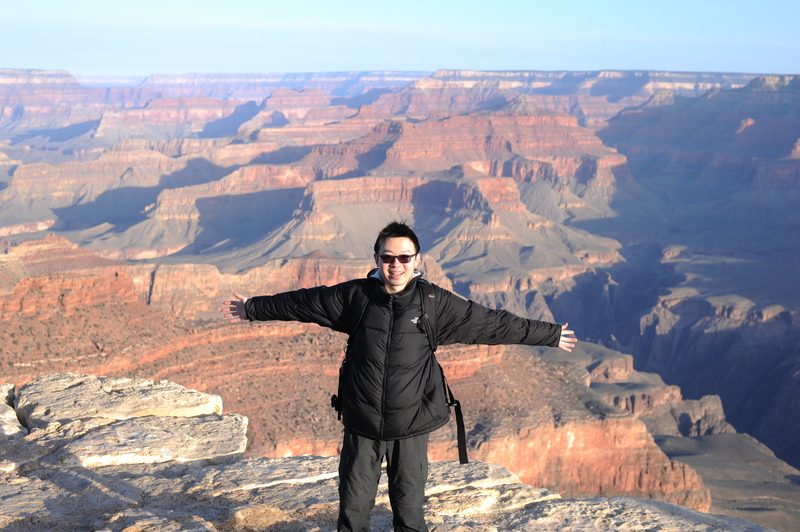 Arizona, Grand Canyon, Travel, U.S.